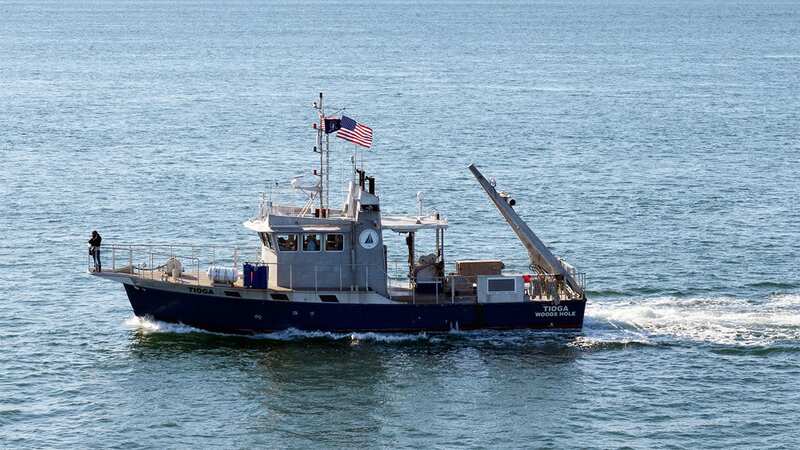 The R/V Tioga is an aluminum hulled coastal research vessel that serves ocean scientists and engineers working in the waters off the Northeastern United States. 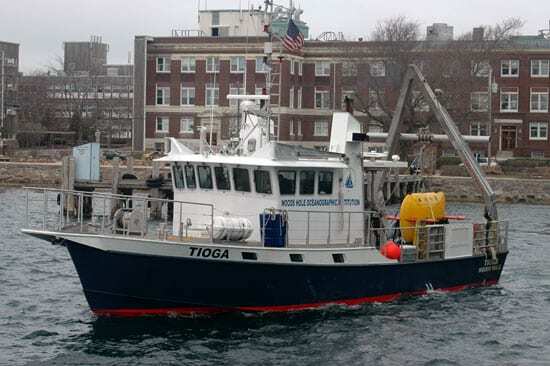 Tioga is solely owned by Woods Hole Oceanographic Institution. Launched in 2004, this small, fast research boat was designed and outfitted for oceanographic work close to shore. Speed allows Tioga to operate in narrow weather windows, meaning researchers can get out to sea, complete their work, and make it back before approaching foul weather systems arrive. Tioga can accommodate six people for overnight trips—including the captain and first mate—and up to 10 people for day trips. The boat is equipped with water samplers, a current profiler, and an echo-sounder, used by scientists to conduct seafloor surveys. Tioga has two winches, including one with electrical wires to collect real-time data from towed underwater instruments. Buoys can be deployed using the A-frame on the stern, which is similar in size to those on WHOI’s large ships. 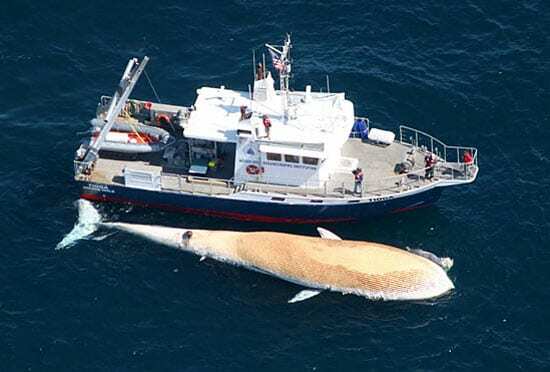 Since its delivery to Woods Hole in April 2004, Tioga has been used to collect water samples during harmful algal blooms (“red tides”) and oil spills; to recover autonomous “gliders”; to test and deploy new instruments; to tag right whales with behavior-monitoring instruments; and to provide an introduction to ocean sampling techniques for undergraduates and graduate students. The boat has made dozens of trips to WHOI’s Martha’s Vineyard Coastal Observatory. 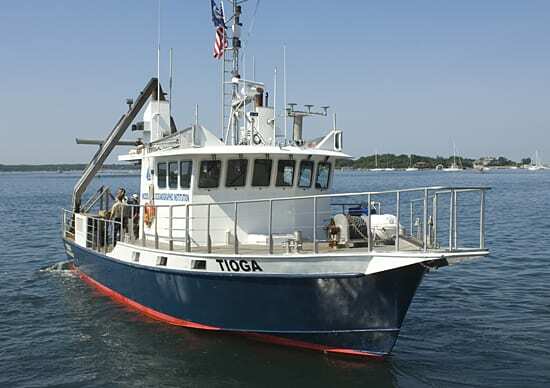 Designed in part by Roger Long Marine Architecture of Cape Elizabeth, Maine, Tioga was engineered and built by Gladding- Hearn Shipbuilding of Somerset, Massachusetts.